A section of a picture Post Card circa 1908. 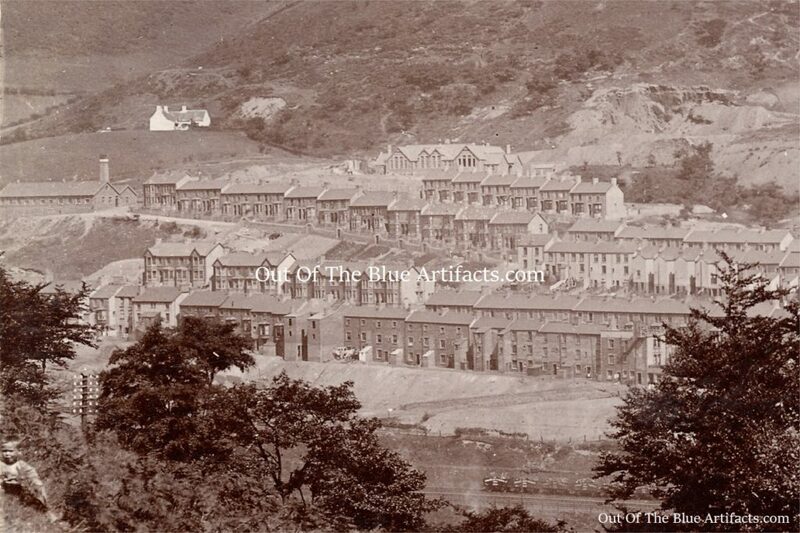 Showing the north eastern part of Six Bells. 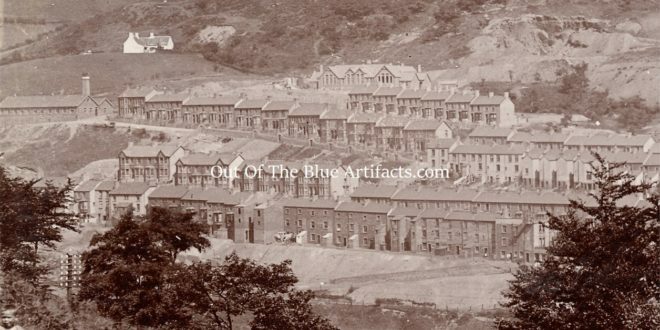 Points of Interest – Far (left) is the Abertillery Steam Laundry on what was New Princess Street, later renamed Richmond Road. Behind the Steam Laundry is Cwm Farm. To the (right) of the Farm is the newly constructed Bryngwyn School. In the (middle) are Bryngwyn Road, Richmond Road and Alexandra Road in order. In the foreground is the Railway and Coal Trucks going down the valley.